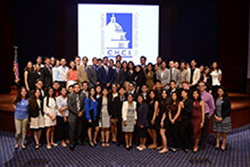 On Sunday, July 10, the R2L NextGen program brought 60 Latino high school students from ten different regions across the country to Washington, D.C. to participate in a week-long leadership and civic engagement program. At no cost to the participants, students received round trip travel, lodging, meals, training, and a $200 gift card for professional clothing. Throughout the week students met prominent leaders, were active participants in workshops that helped them understand the issues affecting the Latino community, toured monuments and museums, and gained a deeper understanding of the importance of their role as engaged citizens in their communities. Students were addressed by several key leaders from Voto Latino, U.S. Department of Education, and White House Initiative on Educational Excellence for Hispanics. On Monday, students started the day by discussing what it means to be Latino and gained a deeper understanding of the diversity among Latinos. Students learned about domestic issues that impact the Latino community and expanded their understanding of how government works. In the afternoon, students participated in a coding workshop with a representative from Microsoft and learned about careers in the STEM field. Tuesday morning focused on immigration. Students shared their personal stories and discussed what should be done about our immigration system. This was followed by a panel with CHCI alumni and representatives from Dreamers in Virginia and National Council of La Raza. Afterwards, students heard from Xochitl Yañez, Corporate Relations Manager, State Farm®, about the importance of being involved and using their voices to make change. Students ended their day with a mock Congress where they learned how a bill becomes a law. 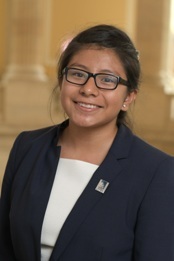 After two days of learning, debating, and thinking critically about issues affecting the Latino community, students spent Wednesday, July 13 using their voice on Capitol Hill. The morning activities included a congressional breakfast with CHCI’s President & CEO Domenika Lynch. During this session, students were addressed by Reps. Tony Cardenas and Albio Sires. 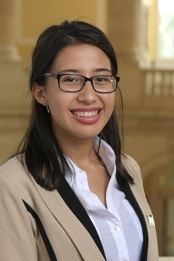 Students also heard from a panel of representatives from the Congressional Hispanic Staff Association (CHSA), who shared what it is like to be involved in public policy and government. In the afternoon, students visited the offices of their congressional members, including face-to-face meetings with Reps. Pete Aguilar, Donald Beyer, Jim Costa, Ruben Gallego, Pedro Pierluisi, lleana Ros-Lehtinen, Lucille Roybal-Allard, and Senator Mark Warner. In the last full day of the program, students heard from a panel of youth activists that shared how they got involved in their communities, the obstacles they faced, and how they overcame them. As a way to expose the R2L NextGen students to other Latino role models, members of CHCI’s Board of Directors, Advisory Council, sponsors, alumni, and CHCI staff joined the students for a mentoring luncheon at the National Education Association. This opportunity allowed students to ask mentors questions about their career trajectories and education. As part of their R2L NextGen experience, students attended the CHCI Summer Programs Farewell Reception and received an official CHCI alumni pin. 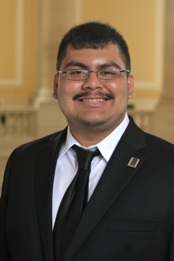 Students heard from Reps. Tony Cárdenas, Rubén Hinojosa, Michelle Lujan Grisham, and Sheila Jackson Lee, who stopped by to congratulate them on their accomplishments. 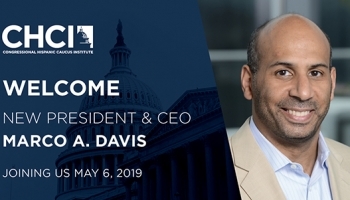 Students were officially welcomed to the CHCI Alumni Association by CHCI D.C. Chapter President, Amilcar Guzman, who encouraged the students to stay in touch and use the CHCI network to improve their communities. The week closed out with students critically thinking about how they will take what they learned in D.C. back to their communities. Participants from each of the ten regions worked together to identify whether they wanted to make a change within themselves, their community, or the world. They finished the program by standing in front of their peers and making a proclamation about what they wanted to change, and committed to holding each other accountable. The students left empowered and ready to take charge as leaders in their communities. Learn more about R2L NextGen and find out how you can help provide a life-changing experience for high school students in your community. Don’t Miss the Nation’s Premier Networking Opportunity for Latino Leaders!